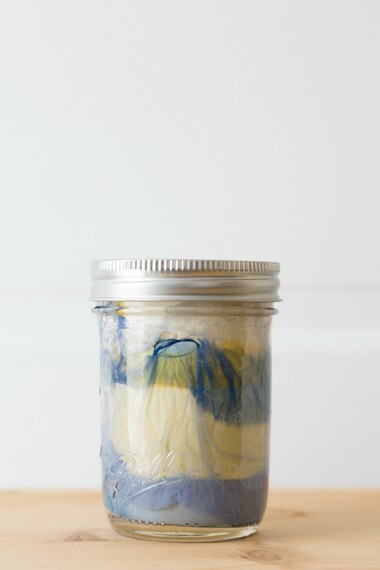 This work originated from experiments made while investigating ways to combine traditional domestic skills with an art practice. 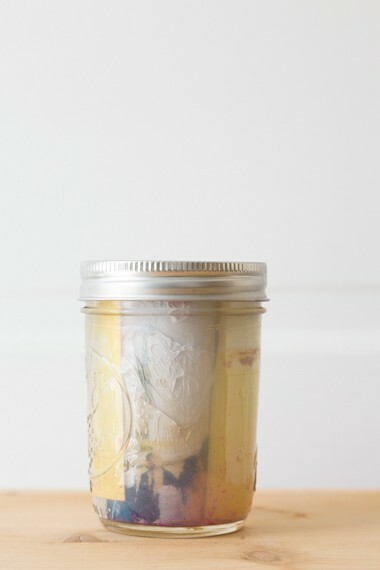 The kitchen and the darkroom have much in common, and pressure canning is traditionally used to preserve foods that have low acid content. 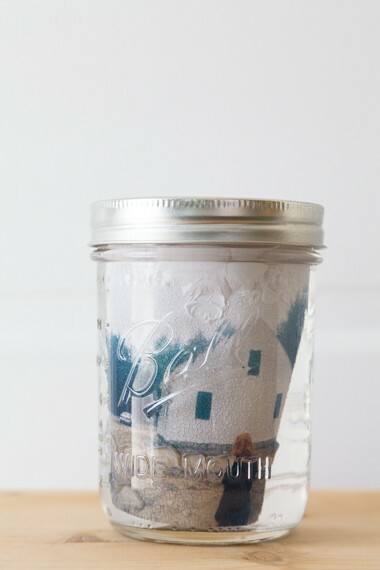 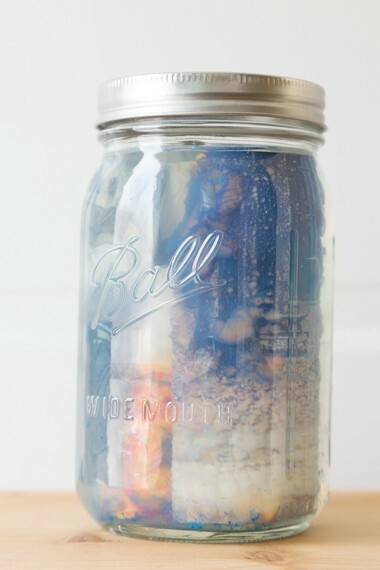 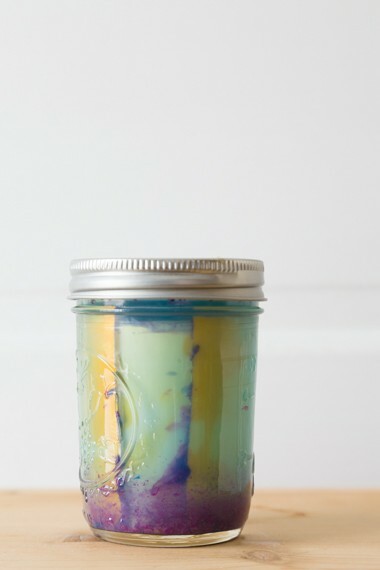 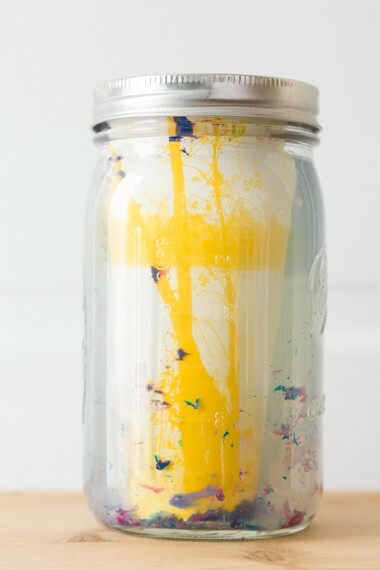 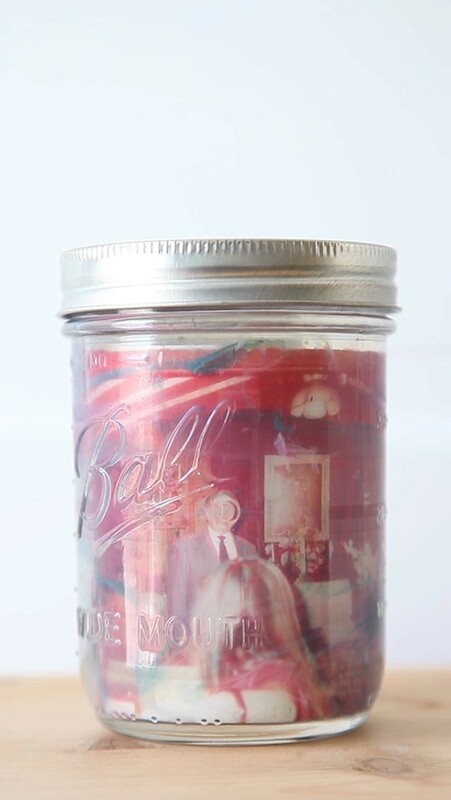 Each jar is filled with water and chromogenic prints (both found and personal) and then processed in a pressure canner for 5 to 15 minutes under 10-15 pounds of pressure. 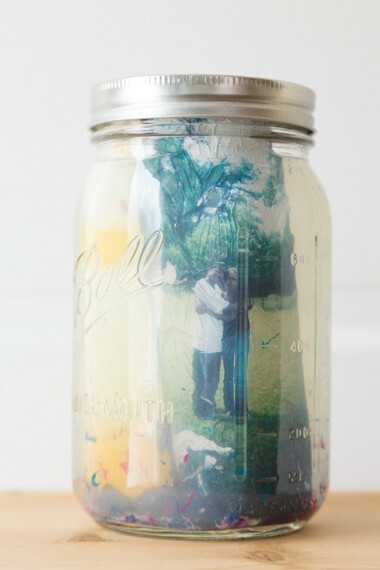 The process itself is an oxymoron, an archival destruction. 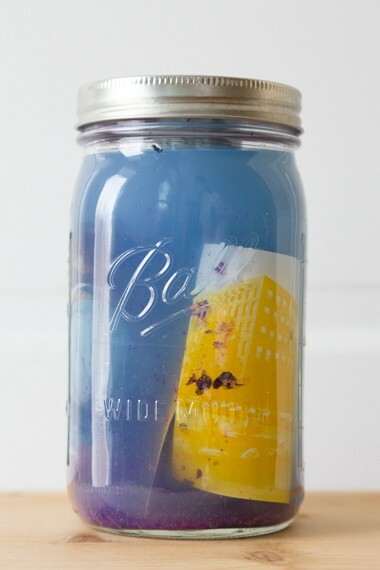 On their own, c-prints, which are made of layers of cyan, magenta, and yellow dye and silver on paper, are unstable and fade over time. 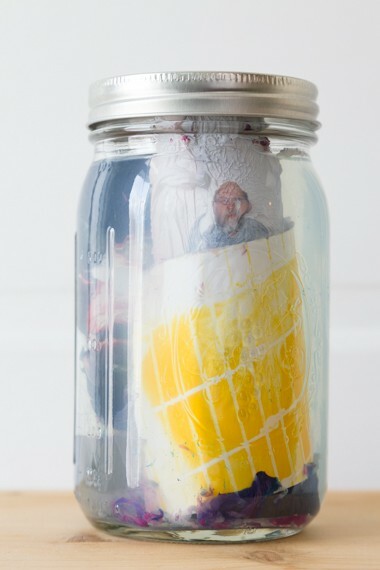 By canning the images, I am accelerating and exaggerating that process by breaking apart the image’s materiality and transforming it into a new object. 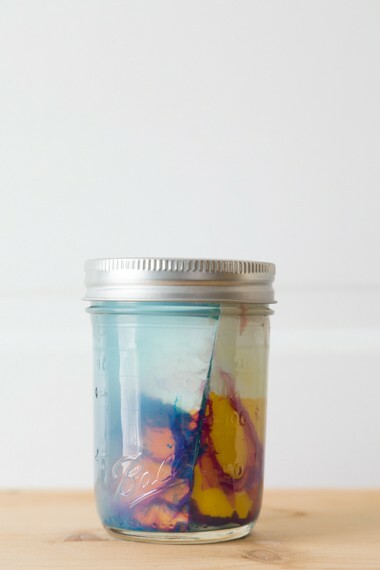 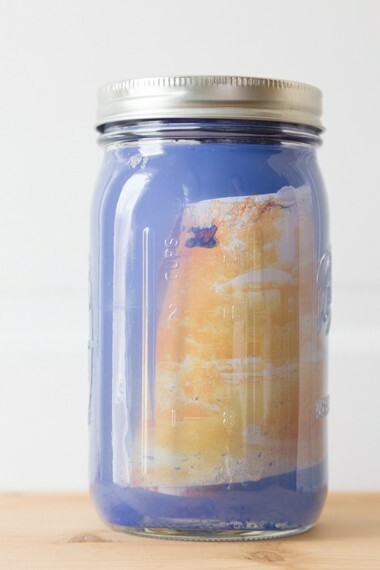 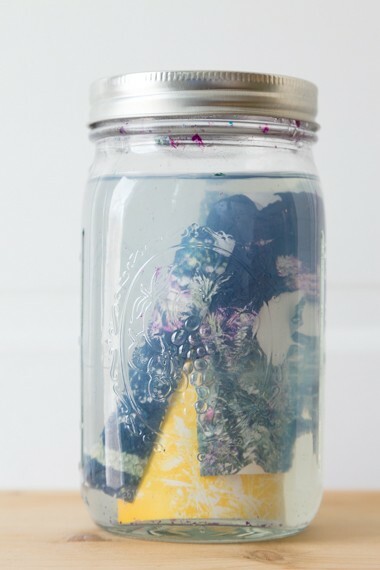 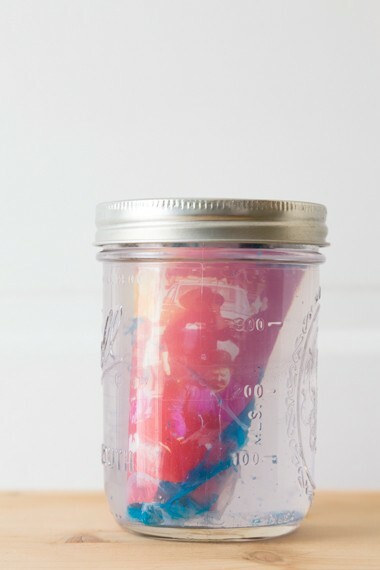 Under intense heat, the c-prints dissolve into a sort of photographic essence– a witch’s brew of dye, silver, and gelatin— preserved for as long as the seal on the jar holds.